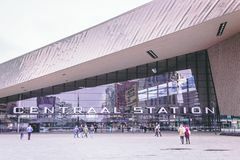 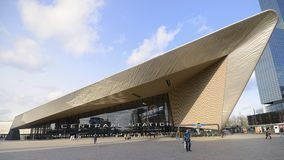 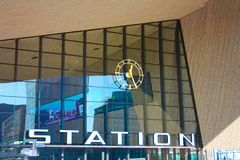 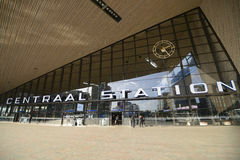 Central Station Rotterdam. 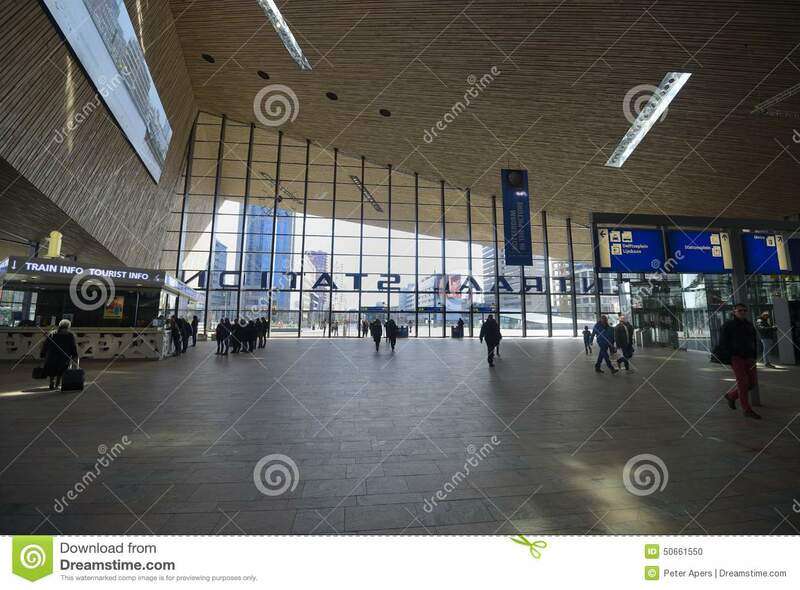 Renewed, diagonal. 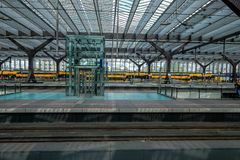 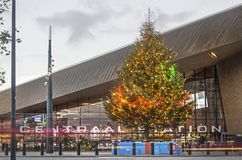 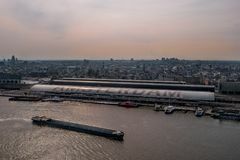 Rotterdam, Netherlands - Circa 2018: Rotterdam Centraal Station Christmas at the central station in Rotterdam, The Netherlands Cross view over all platforms in Rotterdam Central STation. 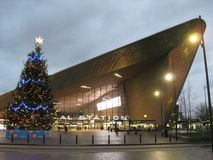 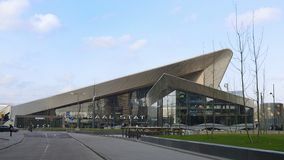 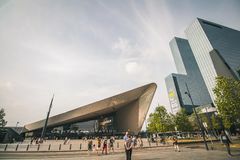 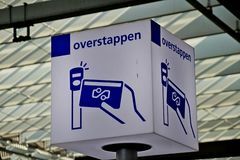 Geometric details of the central station of the modern city of Rotterdam Rotterdam, The Netherlands, Delftse Poort high rise office block on a sunny morning Christmas tree at Rotterdam central station Rotterdam, South Holland/The Netherlands - March 17 2018: Main entrance Central Train Station View from Amsterdam Lookout over Amsterdam Sign for where the card payment terminal is when switching between transport companies on Rotterdam central station.